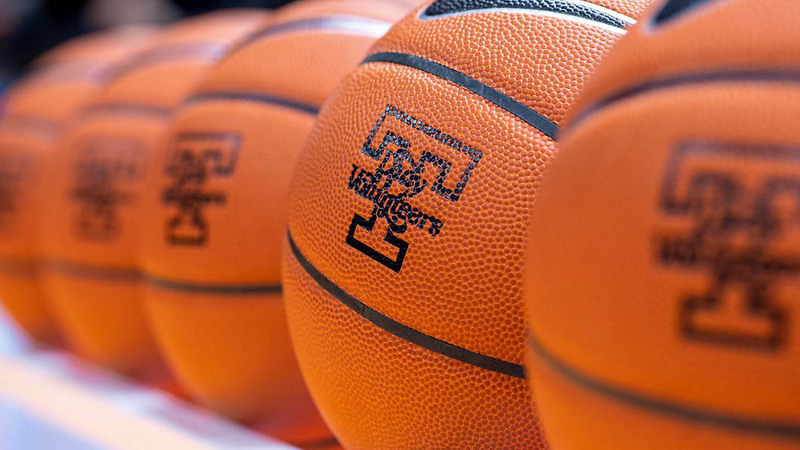 Southeastern Conference | Clarksville Sports Network - Clarksville Tennessee's most trusted source for sports, including Austin Peay State University. After facing an 18-point deficit at the 16:19 mark and with all the momentum in Purdue’s favor, the Vols stormed back with a 19-2 run to take their first lead since opening minutes of the game. A deep 3-pointer from Schofield to make it a 70-67 game capped the run. Knoxville, TN – Tennessee Director of Athletics Phillip Fulmer announced Wednesday that Lady Vols basketball coach Holly Warlick has been relieved of her duties. “Holly and I met this afternoon, and I informed her of the decision to change leadership within the program,” Fulmer said. “Holly has dedicated most of her adult life to the University of Tennessee and the Lady Vols program. She loves Tennessee, and Tennessee needs to always love her back. She was front and center as this program developed into the model for women’s intercollegiate excellence. It’s the first time since 2014 that Tennessee has reached the Sweet Sixteen, and head coach Rick Barnes is just the 12th head coach to lead a third Division I program to the Sweet Sixteen. 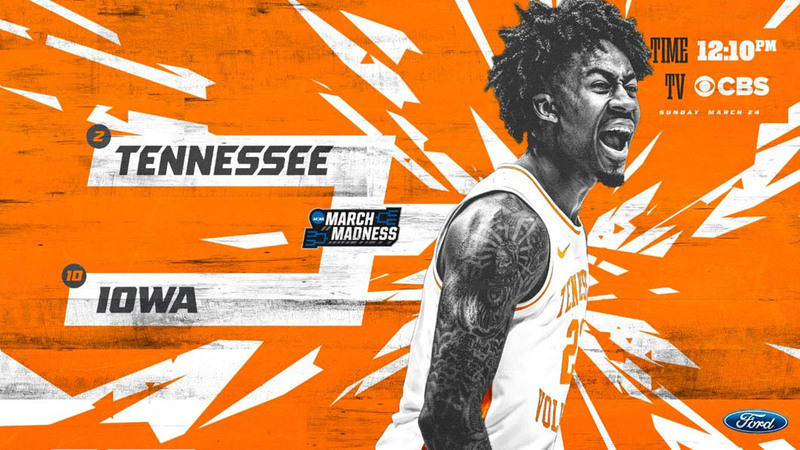 The Vols (31-5) will take on No. 3 seed Purdue in Louisville, KY, on Thursday. College Park, MD – The No. 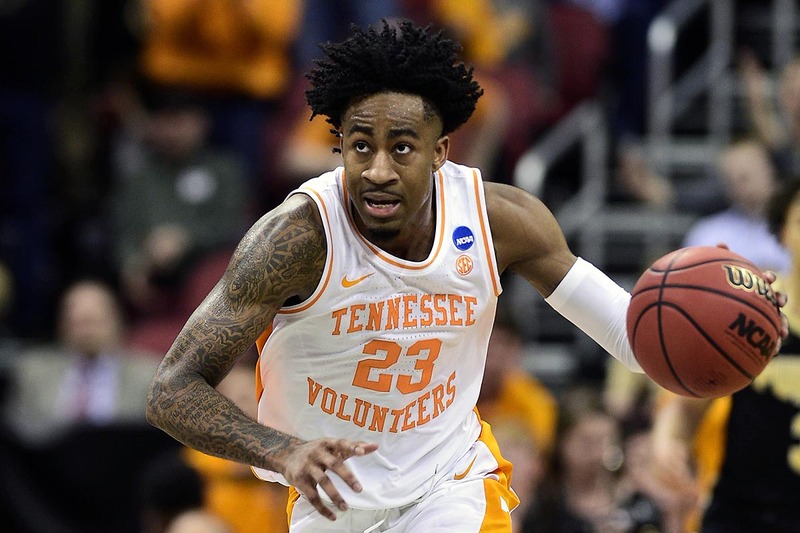 11 seed Tennessee Lady Vols (19-13) erased a 17-point deficit and led by as many as three in the fourth quarter, but their upset bid came up short in falling to No. 6 seed UCLA (21-12) in the first round of the NCAA Tournament at the XFINITY Center, 89-77. 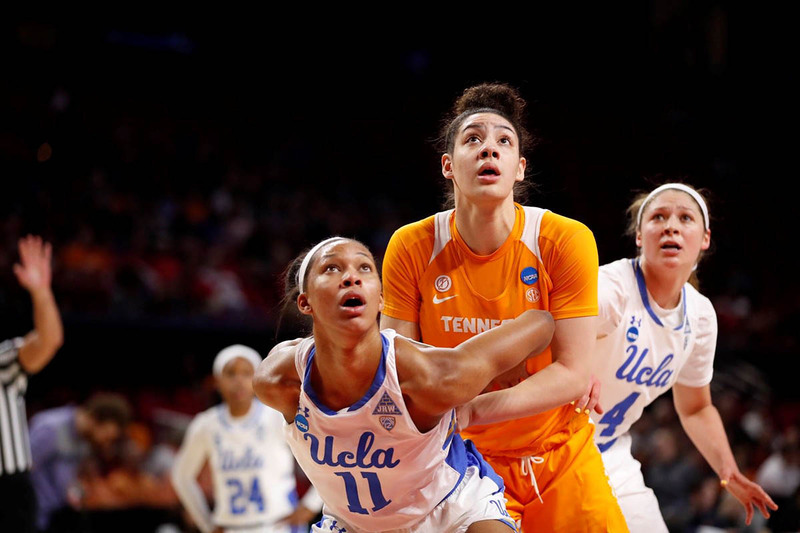 Sophomore Rennia Davis had a double-double for Tennessee with 21 points and 10 rebounds. Sophomore Kasiyahna Kushkituah recorded a career-high 16 points, while freshman Mimi Collins, who hails from nearby Waldorf, Md., tied her career high of 14 points. Columbus, OH – The No. 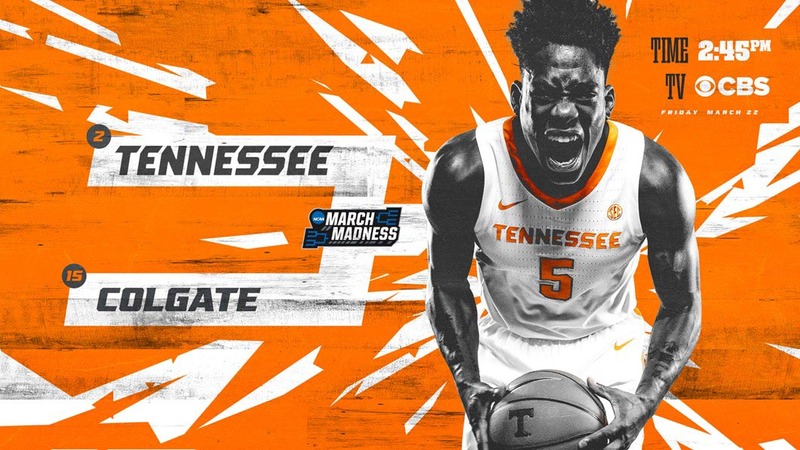 2 seed Tennessee Vols outlasted a second-half rally by 15th-seeded Colgate at Nationwide Arena to advance past the first round in the South Region of the NCAA Tournament. After the Raiders (24-11) stormed back from a 12-point deficit at halftime, the Vols (30-5) stepped up in the final minutes to put the game away. 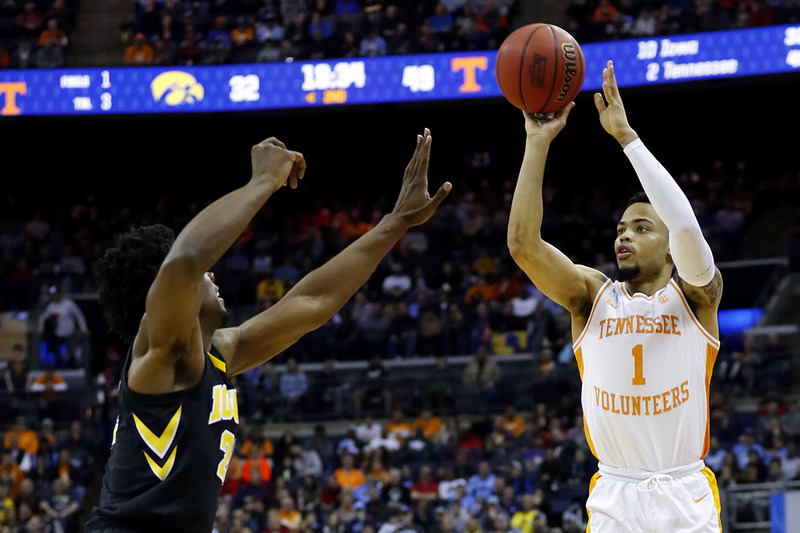 Tennessee hit four of its final five shots, all of which came from beyond the arc. 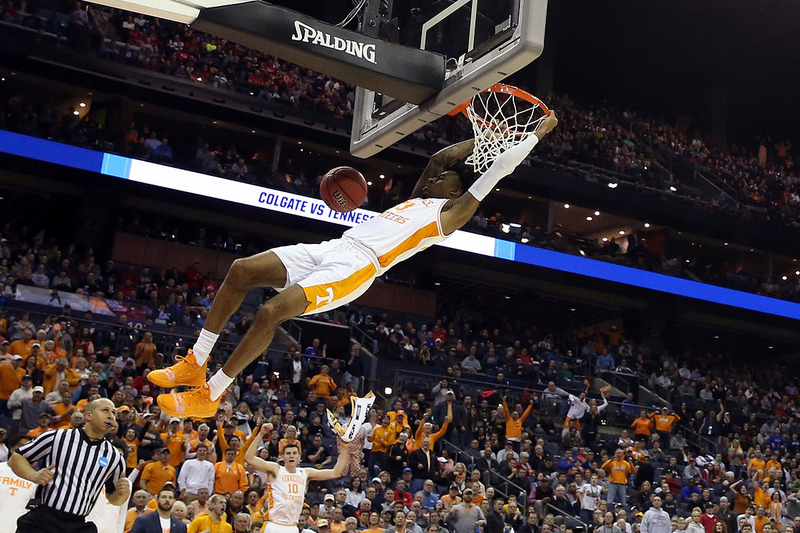 The last three makes came off the right hand of All-SEC wing Admiral Schofield. The final dagger dropped through the nets with 45 seconds left to make it 73-64. Knoxville, TN – The Tennessee Lady Vols (19-12, 7-9 SEC) are the No. 11 seed in the Albany Region and will meet No. 6 seed UCLA (20-12, 12-6 Pac-12) at College Park, MD, on Saturday in the first round of the 2019 NCAA Tournament. Tip-off is slated for approximately 12:00pm CT at the XFINITY Center on the University of Maryland campus. The game will be televised by ESPN2 and carried by the Lady Vol Radio Network. In the other first round game in College Park, No. 3 seed Maryland (28-4) will meet No. 14 seed Radford (26-6) at 10:00am CT on Saturday. The winner of those games will advance to the second round and play in College Park on Monday. Tip time and TV info. are to be determined. 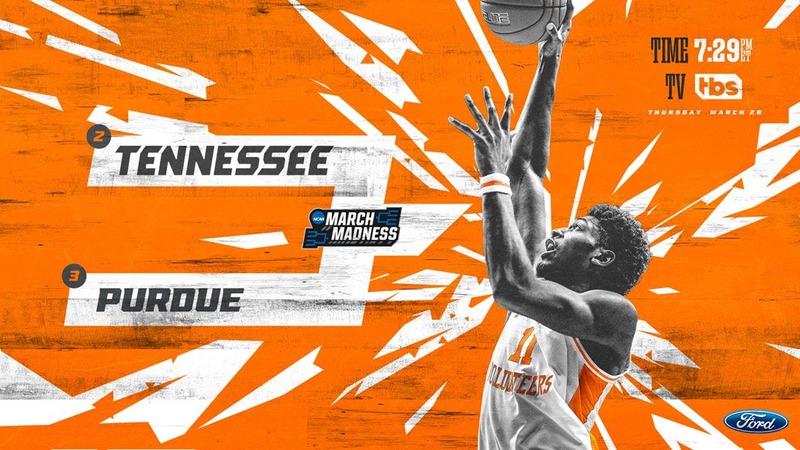 Knoxville, TN – The only program to appear in every NCAA Tournament, the Tennessee Lady Vols basketball team learned it had been awarded its 38th consecutive postseason bid Monday when the bracket was revealed at 4:00pm CT on ESPN2. 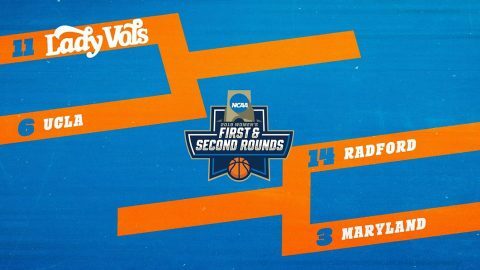 The Lady Vols (19-12) are seeded No. 11 in the Albany Region. UT will face No. 6 seed UCLA (20-12) in the first round at the XFINITY Center in College Park, MD, on Saturday at approximately 12:00pm CT. 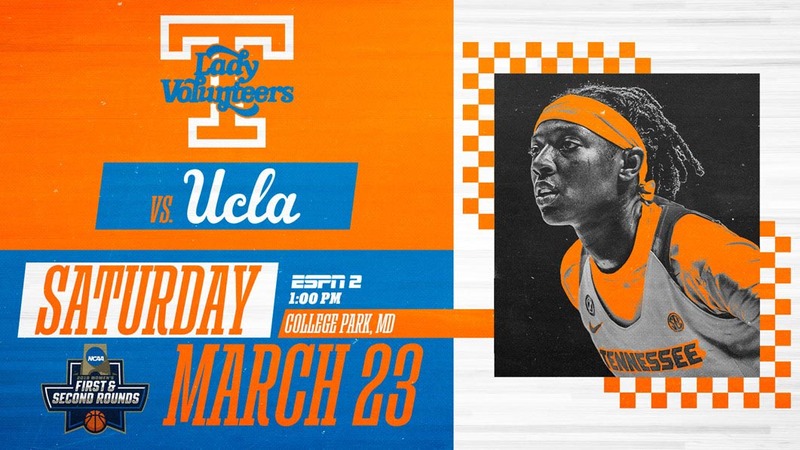 The game will be televised by ESPN2 and also carried on the Lady Vol Radio Network.